Chisinau/Kiev - A centre-right ruling coalition was formally announced in Moldova on Wednesday that keeps the country's top jobs unchanged. The three-party group will put forward Democratic Party head Marian Lupu for the post of president, while Liberal Party boss Mihai Gimpu will be nominated as parliament speaker, the Infotag news agency reported. Харків. 17 січня. УНІАН. 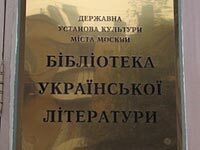 У Бібліотеці української літератури (БУЛ) у Москві пройшов третій обшук, вилучено сервер, директора побив співробітник міліції. Про це власному кореспонденту УНІАН у Росії повідомила сама директор бібліотеки Наталія ШАРІНА. «Обшук проводили ті ж співробітники 11-го відділу МВС по боротьбі з екстремізмом. Минулого разу було вилучено системні блоки співробітників, зараз вилучили 4 блоки сервера, який обслуговує бібліотеку», - сказала Н.ШАРІНА. Ukrainian President Viktor Yanukovych (left) shakes hands with Russian Prime Minister Vladimir Putin during his working visit to Kyiv in October. Is Russia the model Yanukovych's government aspires to bring to Ukraine? Opposition leader and former Prime Minister Yulia Tymoshenko has been placed under de facto house arrest and is threatened by a prison term of up to five years, as leaked to the newspaper "Segodnya" on December 22.